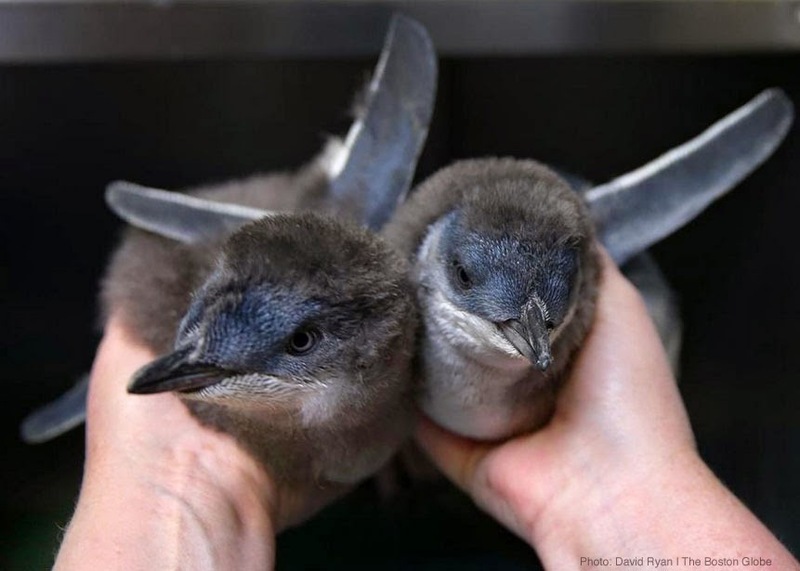 Penguin chicks in The Boston Globe! The hatching of penguin chicks never ceases to thrill us. And now we're excited to share news of these new arrivals with you! The Boston Globe published a story in the G section of the paper about our happy news about the arrival of five little blue penguin chicks this summer. Click here to read the Globe article and see all the pictures. This summer it's truly all about penguins in these parts. We even have a special opportunities where visitors are invited to don their penguinologist hat (figuratively speaking) and learn heaps about these amazing little birds. Pick up a Penguinology guide book when you arrive and you can hit up the decoder stations to uncover penguins secrets—like the science behind their super speed underwater! 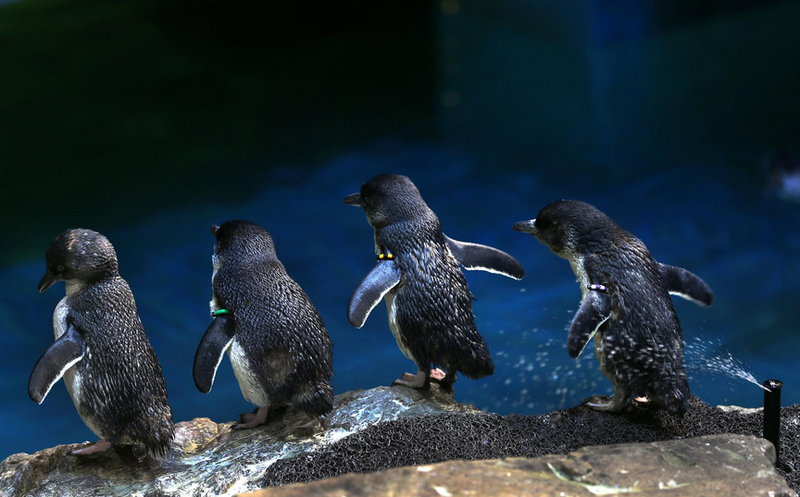 Then learn what it's like to work with the penguins during insider presentations. Ask all about working with penguins—including what it's like to be bitten by those powerful beaks. 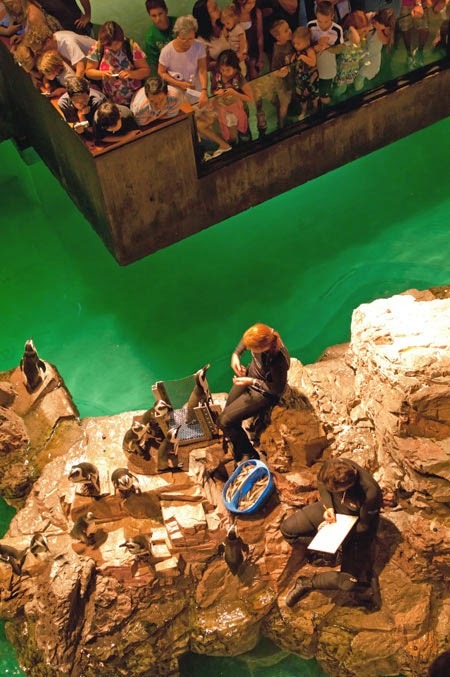 You can even check out behind-the-scenes footage from the penguin breeding area like this. Talk about cute. Besides raising chicks behind the scenes and sharing gobs of penguin secrets, there are more than 80 penguins gamboling and splashing through their exhibit—just a few feet from visitors! The 150-thousand gallon pool is studded with rocky islands, giving the penguins plenty of space to swim and hop out of the water. 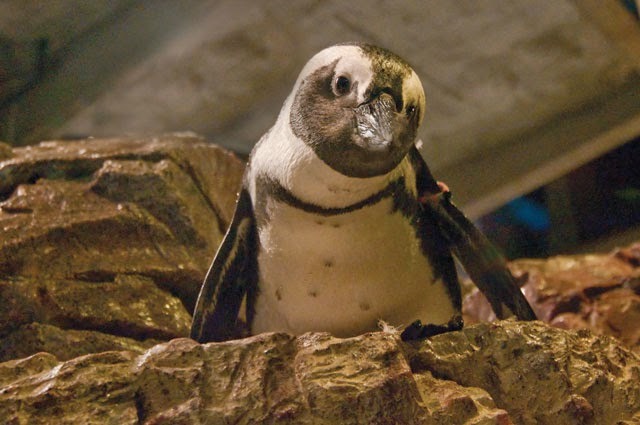 OK, you just have to see and experience this summer of penguins. Seriously. Come visit the Aquarium! Get started with planning your visit online. Pro tip: Zip in the fastest by buying your tickets online and printing them at home. The penguins are waiting for you! Contest: Penguin in the city!